Liberty! The American Revolution brings to life one of the most important and compelling stories in our country's history: the struggle for independence and the birth of the American nation. 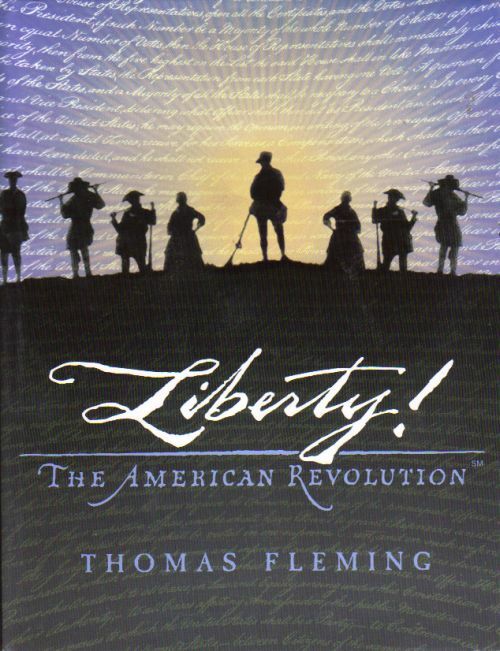 Historian and novelist Thomas Fleming's gripping narrative captures the high drama of the revolutionary years and the unyielding courage and political genius of the men and women who imagined a new set of political possibilities for mankind - laying the foundation for the identity and character of the American people in the process. The companion volume to the PBS television series of the same name, Liberty! is illustrated with more than 200 full color paintings and photographs, illuminating the revolutionary period as never before. Most important, Liberty! traces the evolution of the ideals that inspired a generation of Americans to struggle against Britain - then the most powerful nation in the world - to establish the free society and democratic system that is so inherently and uniquely American. A remarkable work that surges with human drama, it is a book that every American family will read and treasure for decades to come.